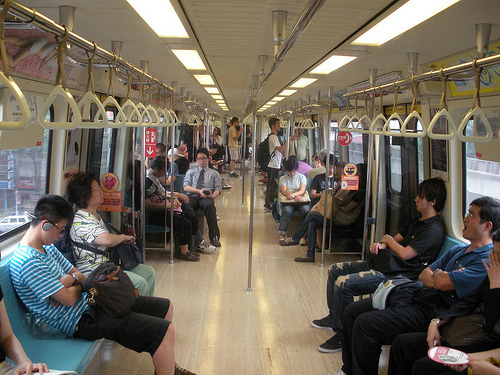 The Taipei public transit system is very developed and has many options for people without cars. One of the conveniences of this system is the EasyCard, which uses RFID technology, and operates without any physical contact. People can now pick up these cards at convenience stores like 7-11 (they have a bunch in Taipei). These cards require a deposit, but then passengers can use the balance to ride the Metro, Gondola, city buses, intercity buses, ferries and taxis. Some parking lots even let people use it to pay for a parking spot. There are 56 miles of track in this system, and these trains go to 80 stations. The network opened in 1996, as the first metro system on the island of Taiwan. It functions daily from 6:00 AM through midnight. If there is a special occasion or event going on, it will close later. Smoking is not allowed in any of the lines, and eating, drinking and chewing gum is forbidden at the stations past the yellow line. All of the trains and stations are handicap accessible. 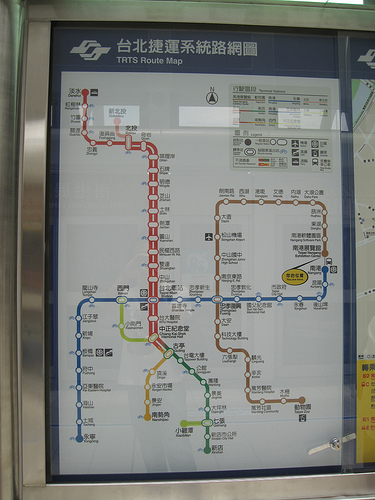 The Taipei metro is a very modern system. They have replaced the turnstiles with speedgates, and many stations even offer Wi-Fi and free mobile phone connection. Several stations are also often connected to underground shopping malls and other conveniences. A few new lines are also under construction and expected to be open within the next few years. The fares of this metro system depend on the distance travelled. 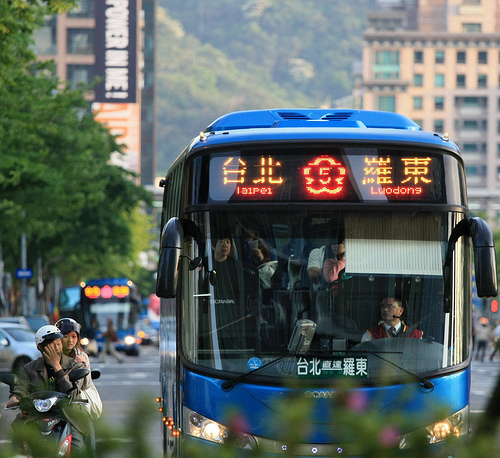 The Taipei bus system is operated by 15 different private agencies. These companies all share the same fare structure, route numbering and ticket process. Most of these bus routes operate under a single agency, though there are a few routes that fall under two companies. Each bus station is shared by the different bus companies that service it. 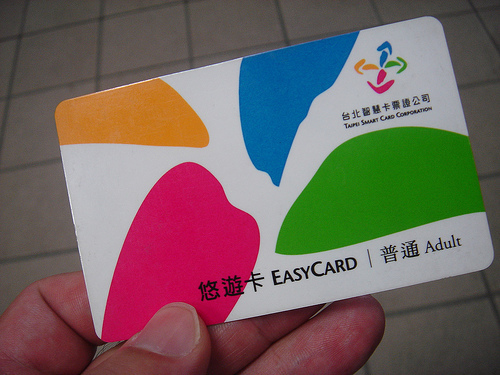 People can either pay the money for the bus fare on board, or use their EasyCard. The Taipei bus system has some special services. For instance, there are “recreational buses,” whose numbers always begin with 1 (i.e. bus 108, which circles around Yangmingshan Park). Some of these buses operate during holidays or events, and some only to go to tourist places. There are also some smaller buses, which begin with the letter “S” (i.e. S1 or S15). These small buses go up into the mountains and suburban areas, and can be flagged down from the street. They operate on fixed stops when they are in the actual city.